i have no idea why but i needed to say that. i said it whilst clapping my hands and looking like i had a really wonderfully exciting secret all to myself about something wonderful and exciting. and if i dig deep i know i do but it is not for the telling just yet. ("oh Tif" you exclaim "that's just pants! going on about a secret and then not telling"
so instead i will give you the next riveting installment of 'the wall in my kitchen' and lack of orla's goodness. removing the wallpaper for the first few days did indeed feel like i had removed Mossy Shed's heart and soul. and all will be well"
a perfect backdrop for my latest color addiction. for who can resist 'granny knicker' pink. hiding at the back of my utility cupboard. just perfectly perfect in every way. the only problem being it was of a minuscule amount. i had the color matched in a fabby glossy eco paint by my local handy dandy paint matching man. the bookcase is housing my growing thrifty finds collection and is a work in progress. now have a place to gather dust. but let us not focus on the negatives and only focus on the positives. ooooh let us start guessing....... perhaps some mini Olives..... or even No. 5 small person on the way to the shed! Did Orla really survive round the corner? Can't wait for the next instalment. so pretty. 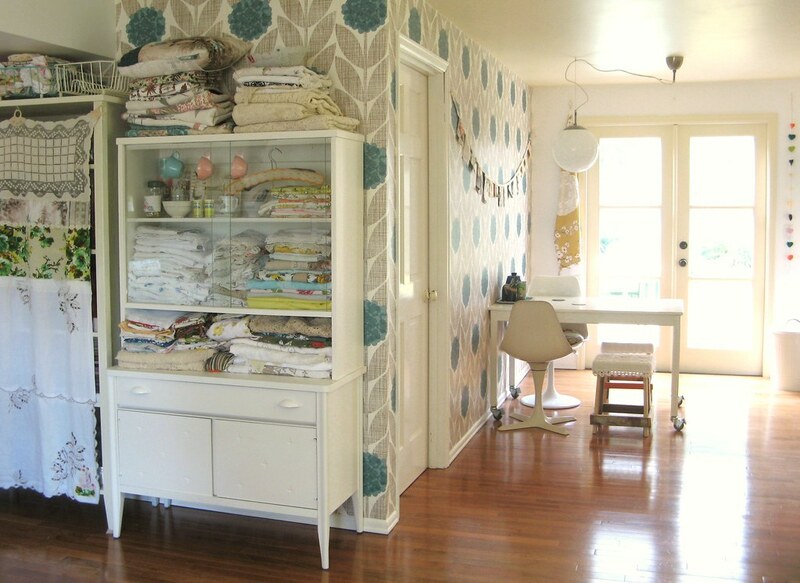 your decor is ridiculously perfect. omg this is just too cute! Those little birds!!! love. 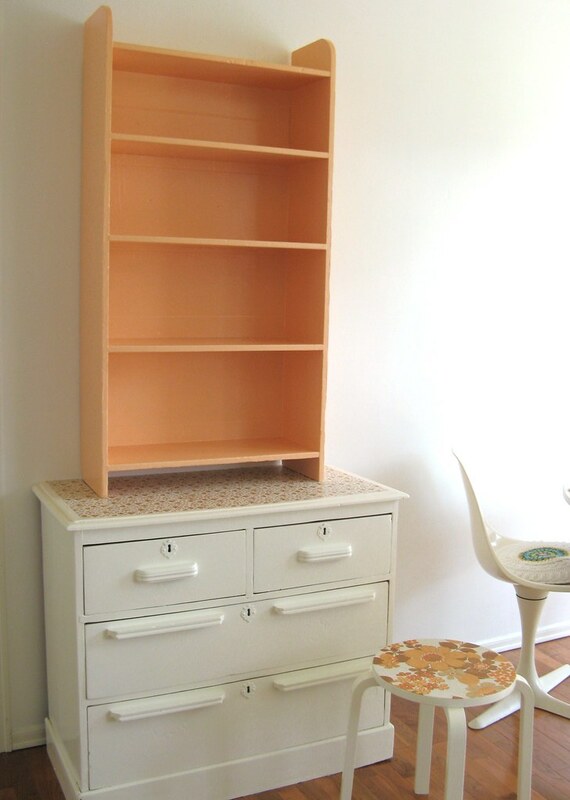 I have a similar self placed on top of a smallish dresser with nick nacks and my sea glass collection on it. 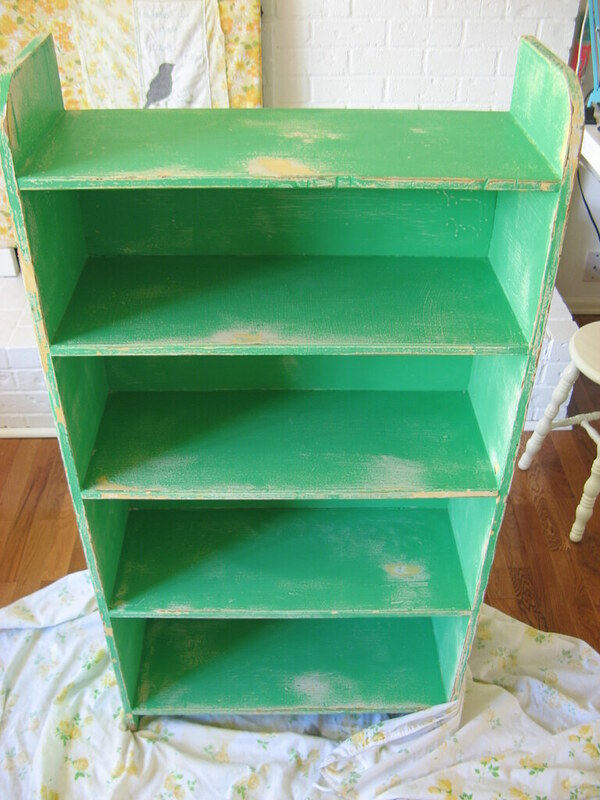 My dresser is yellow with blue showing thru and book case is a smish shmash of other colors. 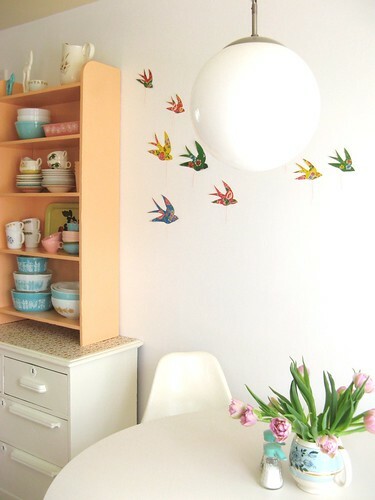 Tiss a fun way to display and brighten up the space. 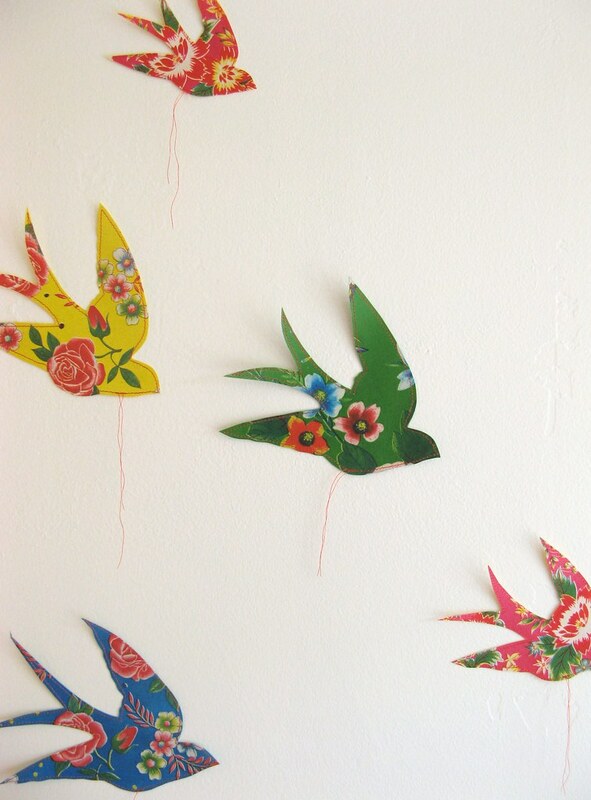 That's just gorgeous - I love the birds on the wall - you've inspired me to do something similar. carol, "ha ha" you did make me smile, i never thought you may try and guess my secretly secret!!! I adore the new birdie!!! I love your style, Tif. Your house is adorable. I'm decorating my first apartment, and never wanted to keep the walls white. Your decor has opened my eyes to how clean and pretty white walls can be. 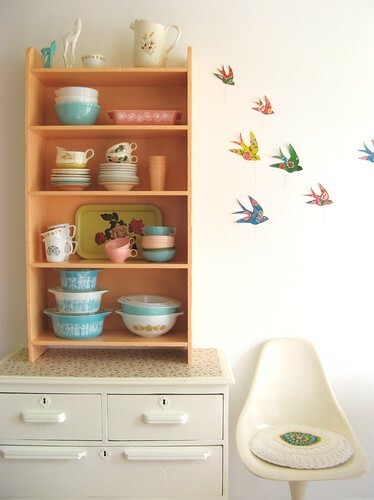 Oh how fabulous is a perfectly peachy granny knicker shelf? I just have to convince the husband that it's what we need to make our lives complete! It's all so simply perfect. I love love the little birds. Well done! That's lovely and fresh....can't wait for surprise!! I just stitched some to a market bag this past week! you have made my saturday morning... how lovely you are to be so kind about my granny knicker pink loving and little birdies! i think you and your fab blog are perfectly peachy. 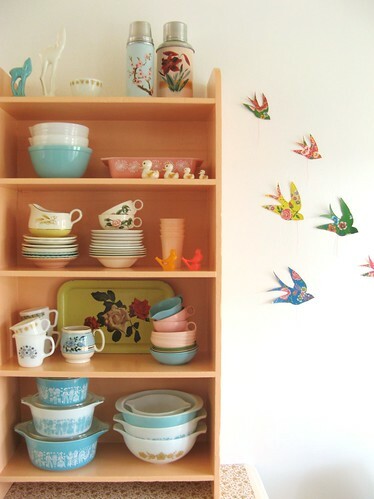 What a wonderful picture, I love the pyrex bowls with the other mix of dishes, and the birds ,too cute!!! 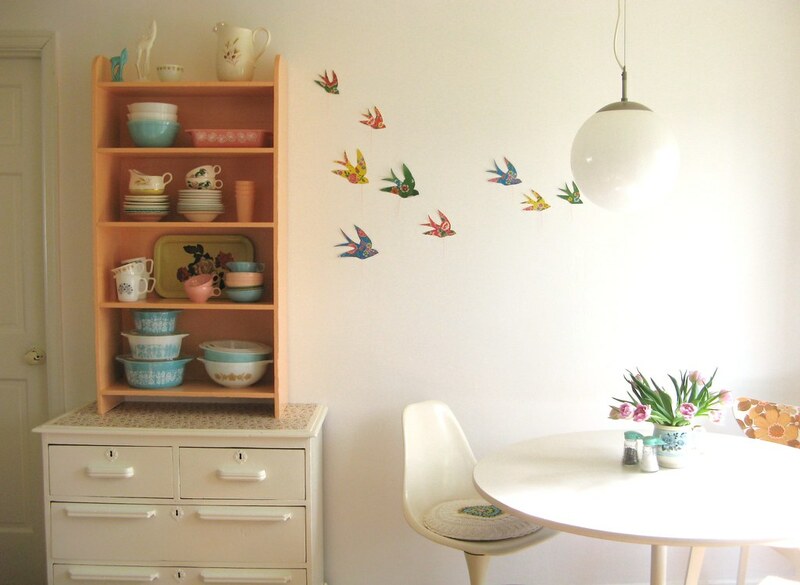 oh to be a bird on the wall there! 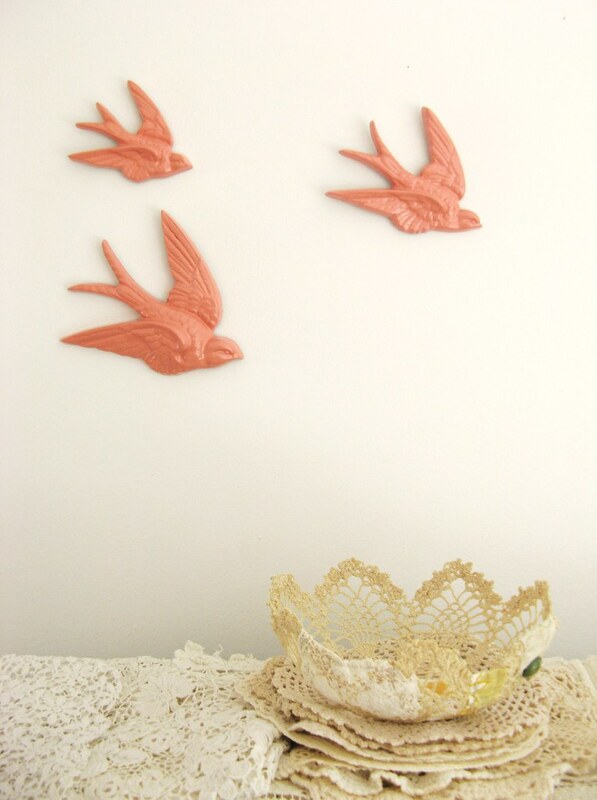 ahh the birds, the perfect shade of peach. please tell us the shade you used? i love it! and although i am still worried about the orla goodness being gone i can see that you have a plan in mind. save me one perfectly ripped orla flower??? I'm so loving you, your family, your style, your... just YOU! (Is that creepy?) It's not I swear! also, holy cow - does your shop sell out as soon as you update? so in love with your aprons. you = super talented.